Getting to know your RACE policy – How Can We Help? If you have a RACE policy, there are some events that may require you to contact us. Here's what will happen and the action required at each stage. Payment for your premium is taken via the Direct Debit system, and will be taken within 3 working days. If you make a change to your policy, which results in a change to your premium, we can also use this system for the additional payment or refund. The Direct Debit payments are managed by our underwriters Hiscox, and it will be their name that is shown on your bank statement. There's a couple of changes that you must let us know about, if they occur during the time you're insured with us, as they may affect your eligibility for the policy. You can change your address and insured values at any time from within your Bikmo account, and it's really easy to do - RACE - Making changes to your policy, but you'll need to contact us about the others. 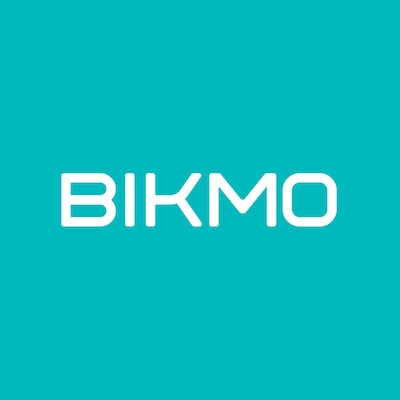 If you are not sure if a change in circumstances is relevant to your policy, please contact Bikmo Customer Experience at hello@bikmo.com for advice. We're confident that your Bikmo RACE policy represents the most comprehensive and best value cycle insurance product on the market, so we hope you're happy with it. Your policies are shown here, including their current status. Choose the policy that you are wanting to cancel and click 'Manage policy'. Beneath the policy details, click on the 'Cancel your policy' link. You will be asked to give the reason for wanting to cancel before clicking 'Please cancel my policy'. Your policy will be cancelled by the end of the next working day, and you will receive an email to confirm, once cancelled. A notification to cancel your Direct Debit will be made, with a refund of premium made at the earliest opportunity, provided that no claims have been made. A notification to cancel your Direct Debit will be made, with a refund of no more than 60% of your annual premium made at the earliest opportunity, provided that no claims have been made. If, at the time of requesting to cancel, you have not paid 40% of your premium, a charge for the difference will be made. As a valued customer, and so that you can spend more time riding your bike, we've made renewing with us as easy as possible! We'll send you an email up to 30 days before the annual renewal date of your policy to highlight the benefits of staying with us and let you know if there are any changes to your premium. We like to be as clear and transparent with our pricing as possible, so we include all information about the breakdown of the premium in relation to your policy. If you're happy with your new premium, and we're confident you will be, then you don't have to lift a finger, as it will renew automatically! We'll attempt to renew your policy 2 weeks prior to the renewal date unless you advise us otherwise, and your renewal premium will be taken by the same method used during your initial purchase. If for any reason you would not like to renew, you can click the link in your email and, after answering a couple of questions, we'll process your request.